Each design shown on the right was the personal vision of Our client! 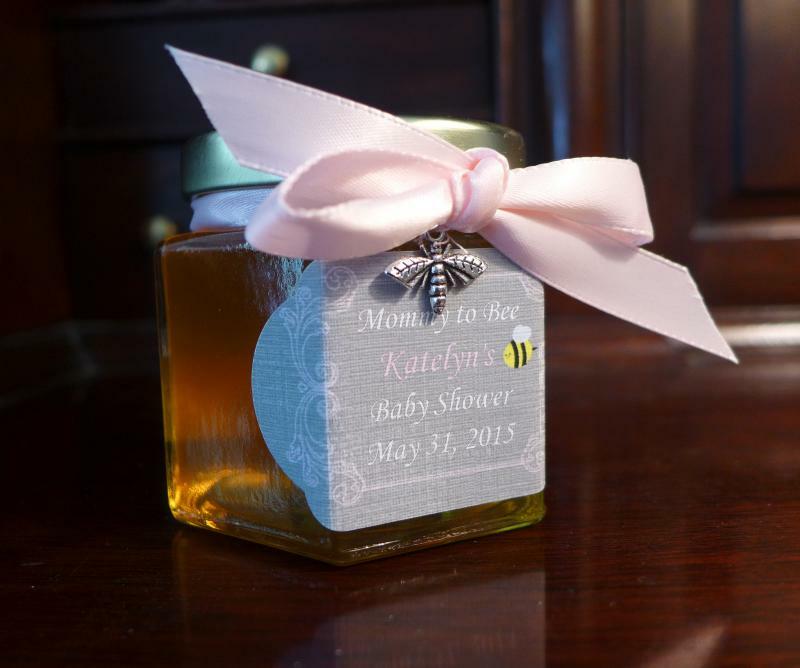 Let us create something special for your occasion! Are you searching for a unique idea for a special occasion? 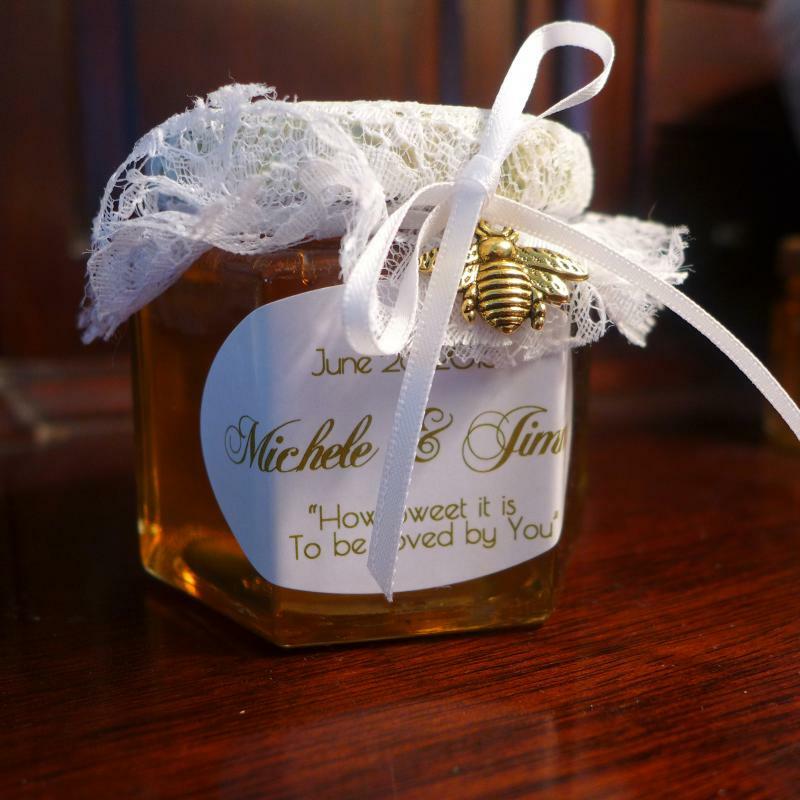 We specialize in turning "your vision" into a personalized "One of a Kind Honey Favor"
Our Favors are uniquely created for our clients. 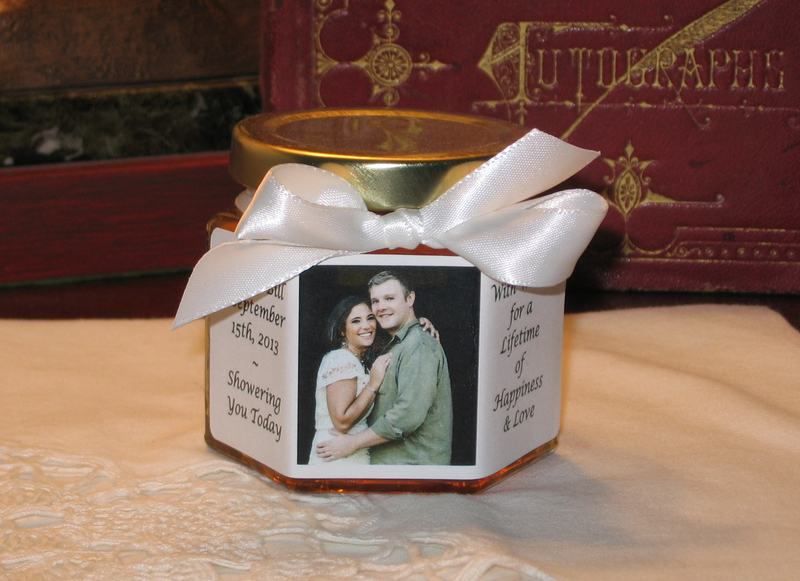 Perfect if you want a personal photo label, hang tag, your own saying, fabric topper, bee charm, wooden honey dipper, etc. 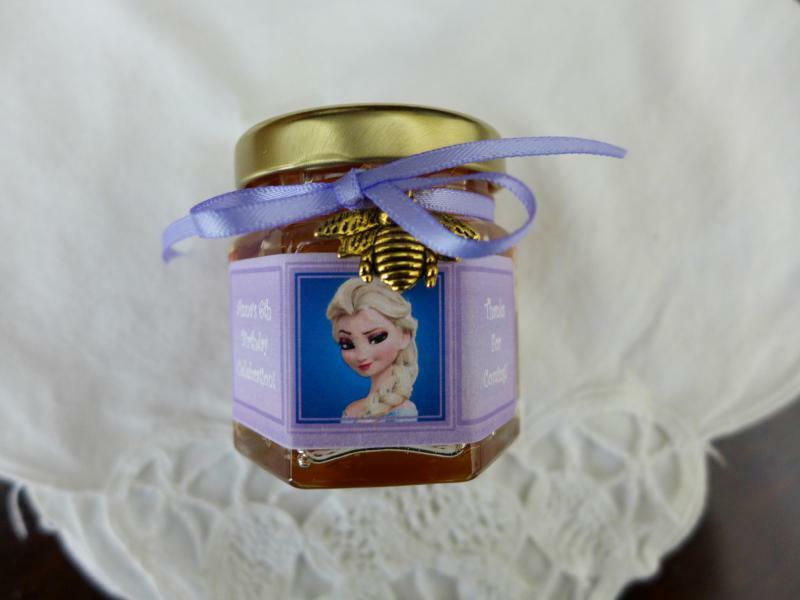 Priced from $3.25 for a 2 ounce jar and $5.50 for six ounces of honey in a 4 ounce jar and this price includes customized label or hang tag and stock ribbon. 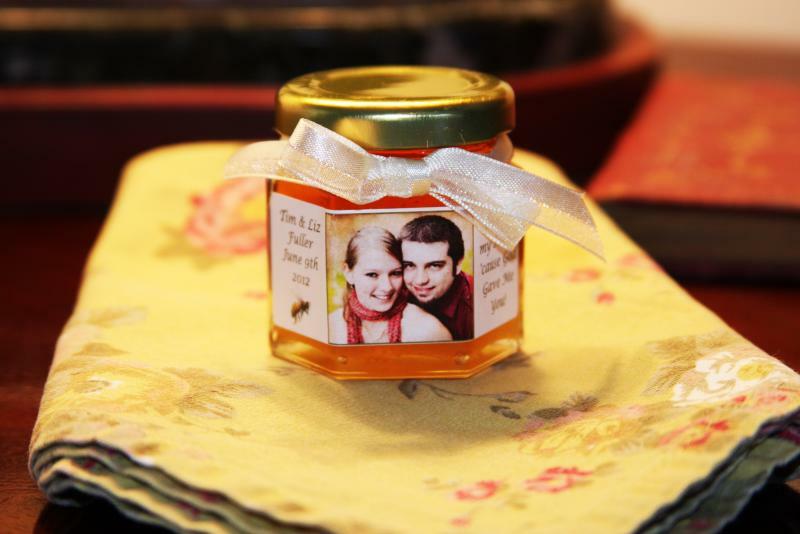 * Specialty ribbon, honey dipper, fabric topper, highlophane bagging and charms are priced additional according to cost. 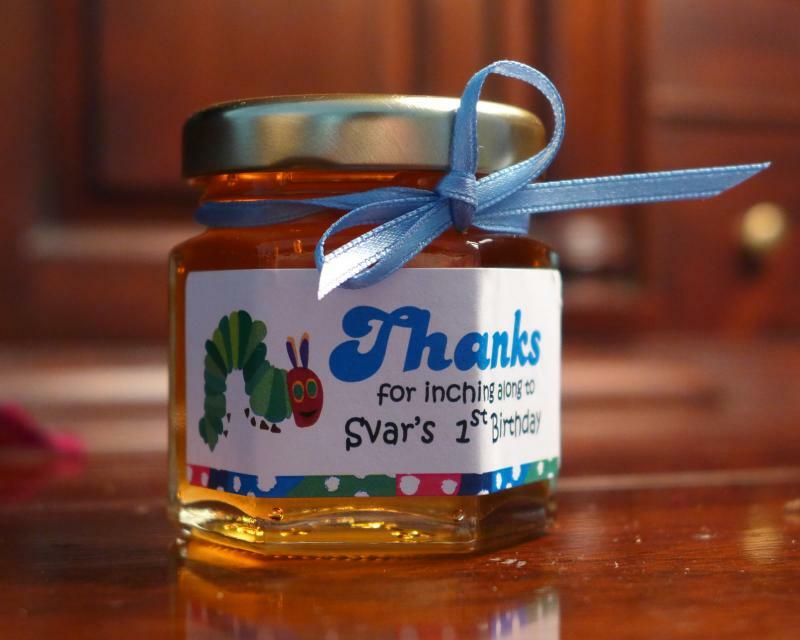 Additional decoration ~.For an additional cost, we will add a wooden honey dipper, fabric lid cover or deco bag with ribbon. Available in a variety of shapes, sizes and types - your photo or ours, fabric topper, and gold bee charm or Tibetan silver Bee. Seen here are photos of recent creations for our clients. 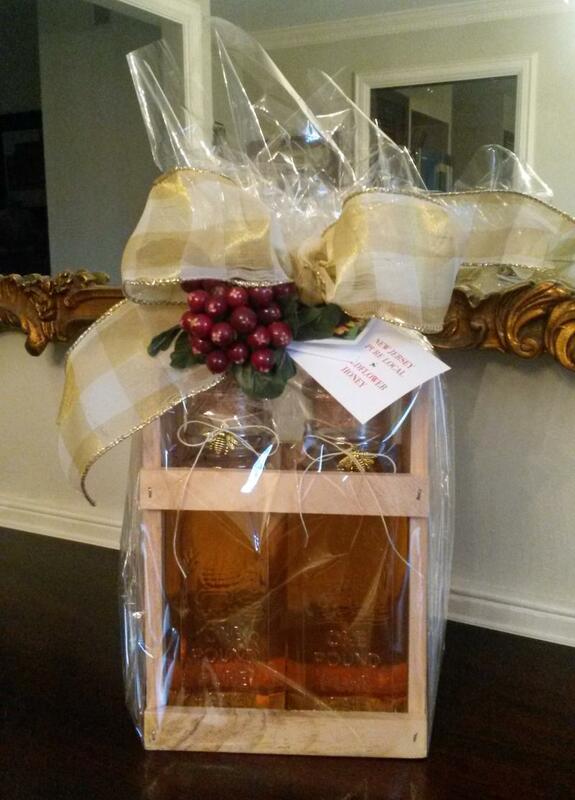 Fabric topper, honey dipper, gold bee and specialized ribbon ~ priced according to cost. 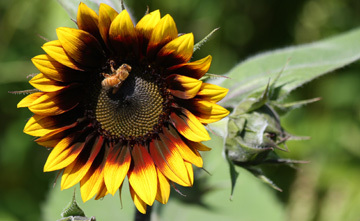 Be sure to write HONEY in the subject line! 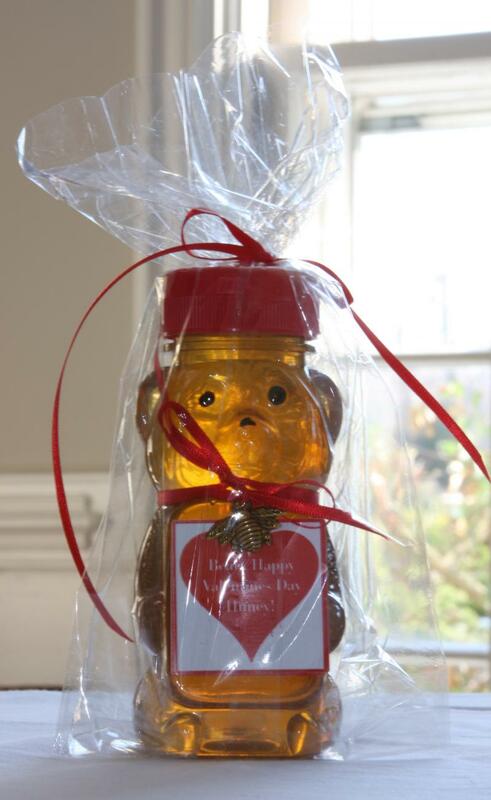 TO BE LOVED BY YOU"
Bear, with honey and Bee Charm, Cello Bag and Ribbon. 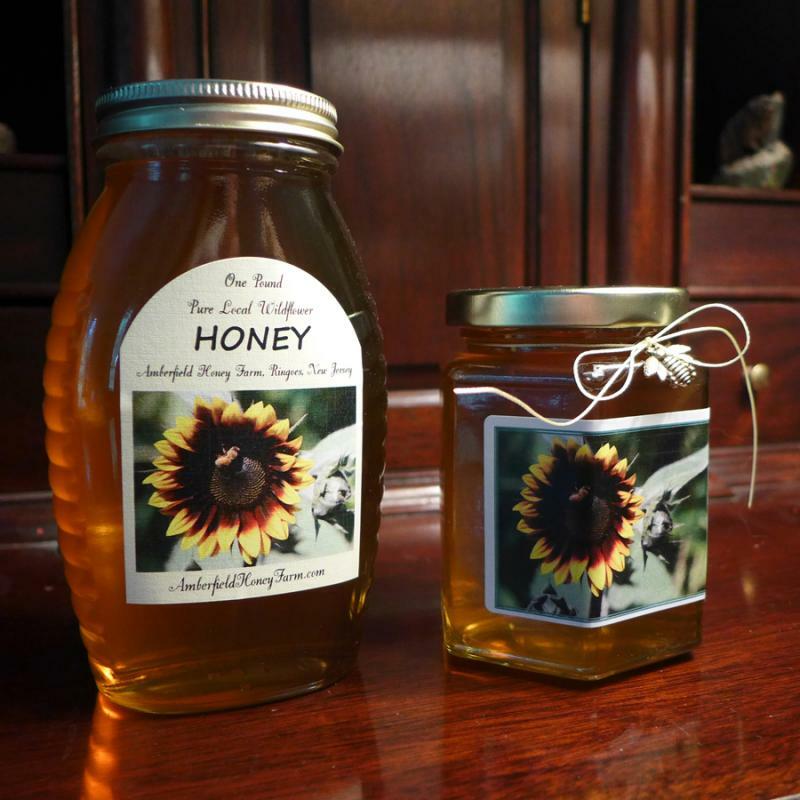 Priced according to size... We are able to bottle our honey in a variety of ways. Give us a call with your ideas and we will create something special for you!